10 ft Projection Screen projects all of your favorite content for your special event, wedding or presentation. This screen size is great for small groups of up to 75 viewers. The screen does not require blowing up which makes it ideal for special events where you want to keep noise to a minimum. The framed static style also makes it ideal for indoor presentations. Our staff will fully assemble and disassemble this unit onsite in your screen’s designated permanent location. 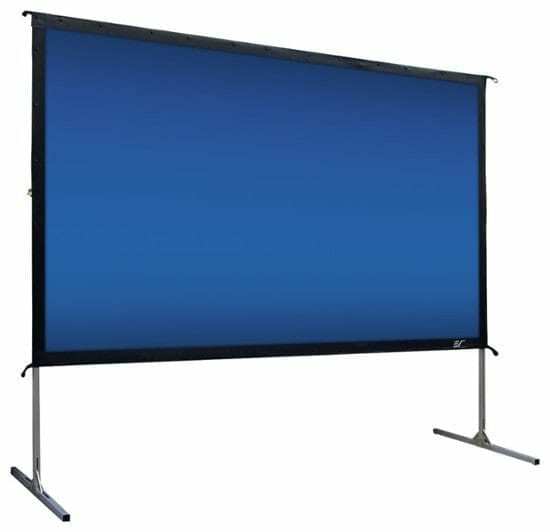 If you need a screen that is more portable, we recommend the Indoor Projection Screen. If a larger screen is required for outdoor use we recommend the 16 Ft Movie Screen.